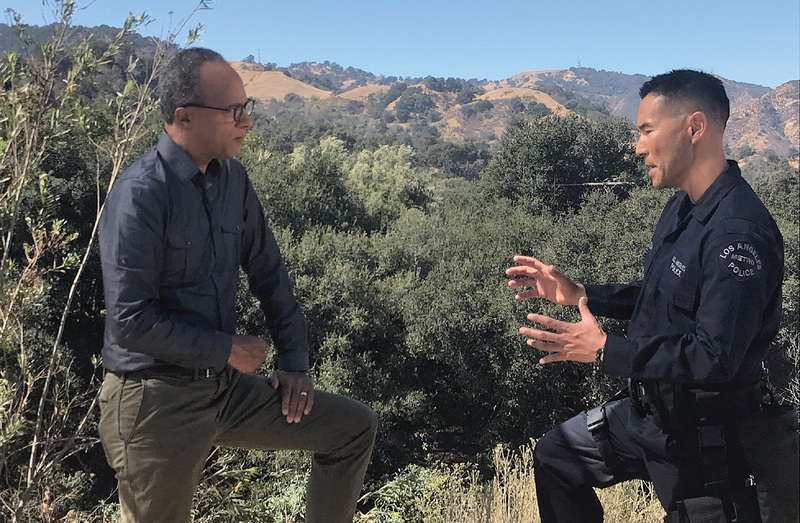 Chief Surgeon Kenji Inaba speaks with Lester Holt at the Oak Tree Gun Club in Newhall in an NBC Nightly News segment. It was game night in Los Angeles, October 26, 2018. Chief of Police Michel Moore had authorized LAPD officers to wear their Dodger Blue caps while in uniform. That night the Dodgers and Red Sox battled it out in Game 3 in what would become the longest World Series game in history — over seven hours of baseball; 18 innings. The Dodgers won that game, 3-2. It was also the day the FBI and other law enforcement agencies zeroed in and apprehended a serial-pipe bomb suspect, a story that had dominated the news during the week. And the very next day, the nation would mourn after a mass shooting at a Pittsburgh synagogue left 11 people dead and at least six injured, including four police officers. “I sat through every hour of that first-aid training. It goes to show you how seriously they take the process,” Inaba said. When NBC Nightly News posted the story on its Facebook page on that busy Friday night (garnering 500,000 views), it received over 400 comments. And this: “Is Dr. 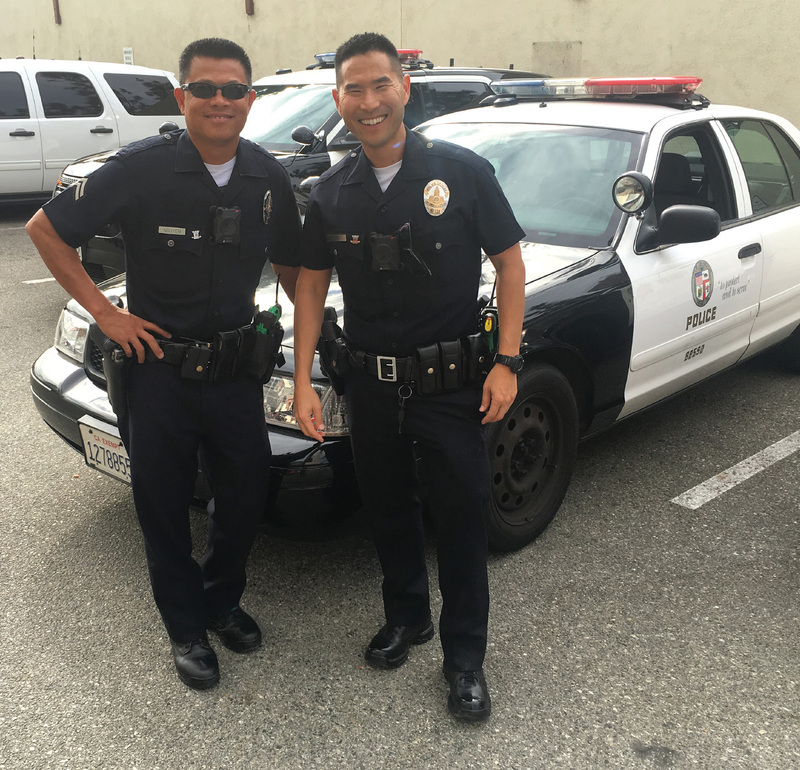 Officer Kenji married? Does he want to be? I offer myself up. Yowza.” To answer this admirer, and the over 120 souls who liked her comment: Yes, he is married with an 11-year-old child. “They are the best,” he told The Rotator. The NBC Nightly News With Lester Holt segment can be viewed at youtube.com/watch?v=ibil0DU9Xag.